Gar Alperovitz is the former Lionel R. Bauman Professor of Political Economy at the University of Maryland. Historian, political economist, activist, writer, and former government official, he is the author of numerous books, among them What Then Must We Do? (2013); Unjust Deserts, with Lew Daly (2008); America Beyond Capitalism (2005); Making a Place for Community, with David Imbroscio and Thad Williamson (2002); The Decision to Use the Atomic Bomb and the Architecture of an American Myth (1995); and Rebuilding America, with Jeff Faux (1984). After receiving a Ph.D. in political economy as a Marshall scholar at Cambridge University, Alperovitz served as a legislative director in both houses of Congress and as a special assistant in the State Department. A well-known policy expert, he has testified before numerous Congressional committees and lectures widely around the country. Among his achievements is having been the architect of the first modern steel-industry attempt at worker ownership in Youngstown, Ohio. In addition, he was nominated to be a member of the Council of Economic Advisers by leading national consumer, labor, and environmental organizations. 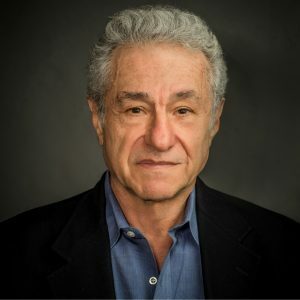 Alperovitz is the president of the National Center for Economic and Security Alternatives and is a founding principal of The Democracy Collaborative, a research institution developing practical, policy-focused, and systematic paths towards ecologically sustainable, community-oriented change and the democratization of wealth. He was a founding board member of the New Economy Coalition and is currently co-chair of the Next System Project. Contact John Duda about Gar Alperovitz’s speaking terms and dates.